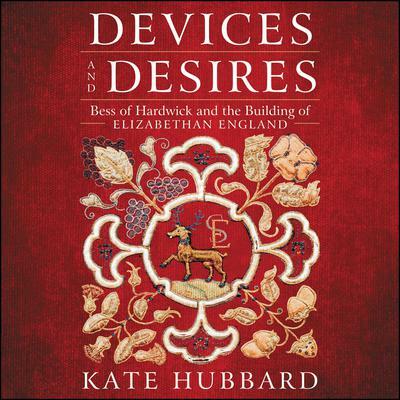 Aided by a quartet of judicious marriages and a shrewd head for business, Bess of Hardwick rose from humble beginnings to become one of the most respected and feared Countesses in Elizabethan England—an entrepreneur who built a family fortune, created glorious houses—the last and greatest built as a widow in her 70s—and was deeply involved in matters of the court, including the custody of Mary Queen of Scots. While Bess cultivated many influential courtiers, she also collected numerous enemies. Her embittered fourth husband once called her a woman of “devices and desires,” while nineteenth-century male historians portrayed her as a monster—”a woman of masculine understanding and conduct, proud, furious, selfish and unfeeling.” In the twenty-first century she has been neutered by female historians who recast her as a soft-hearted sort, much maligned, and misunderstood. As Kate Hubbard reveals, the truth of this highly accomplished woman lies somewhere in between: ruthless and scheming, Bess was sentimental and affectionate as well. Hubbard draws on more than 230 of Bess’s letters, including correspondence with the Queen and her councilors, fond (and furious) missives between her husbands and children, and notes sharing titillating court gossip. The result is a rich, compelling portrait of a true feminist icon centuries ahead of her time—a complex, formidable, and decidedly modern woman captured in full as never before. 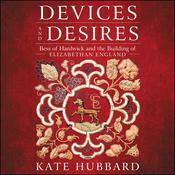 Kate Hubbard, a researcher, teacher, and book reviewer, works as a freelance editor. She is the author of Serving Victoria, Devices and Desires, Annie Oakley, and Rubies in the Snow, among others.